03 December 1946 as H.M.S. 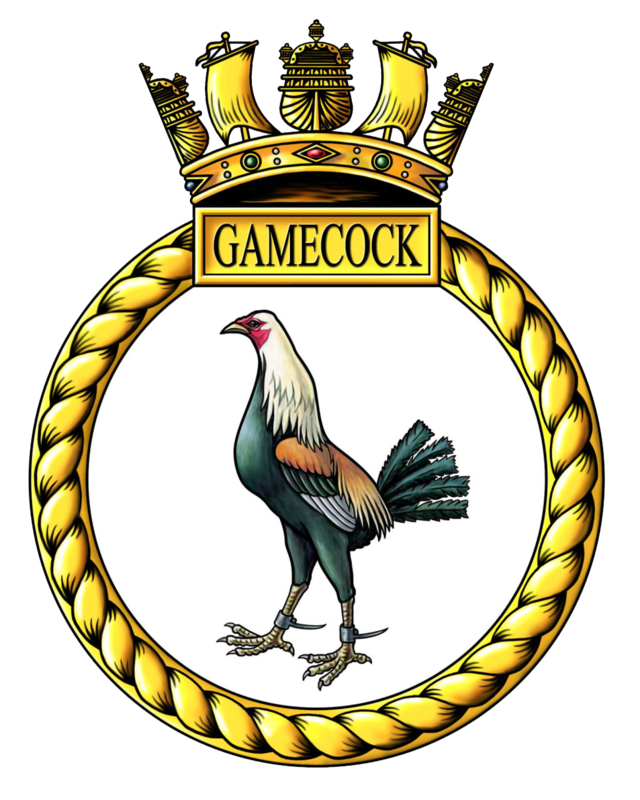 Gamecock. 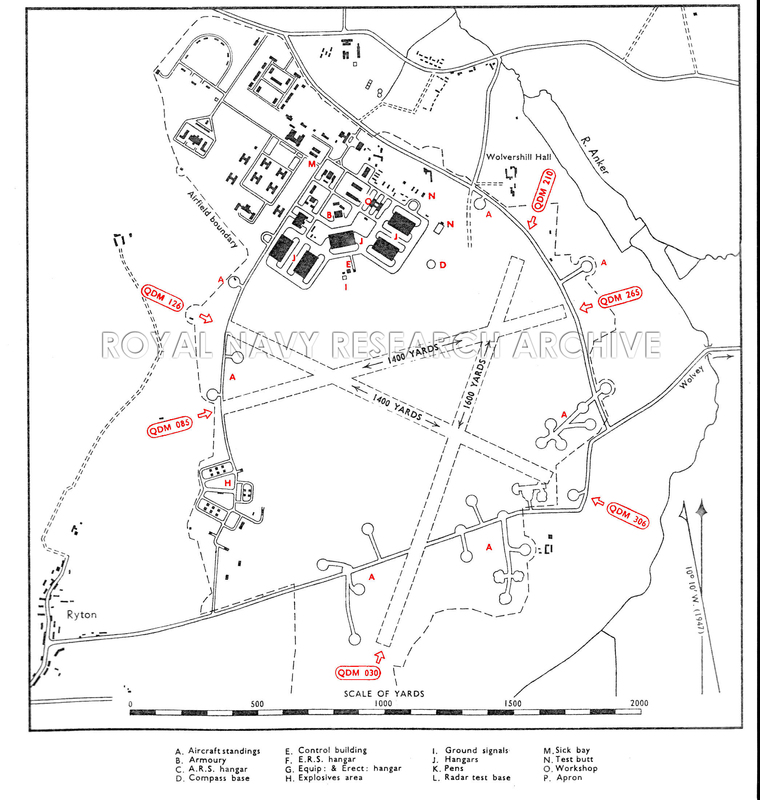 10 November 1958 transferred to the Army. Air Mechanic Part 3 Training. 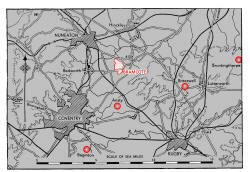 The airfield lies 18 miles E. of Birmingham, 51 miles NE of Coventry and 24 miles SE. of Nuneaton. Rugby is 81 miles SE. 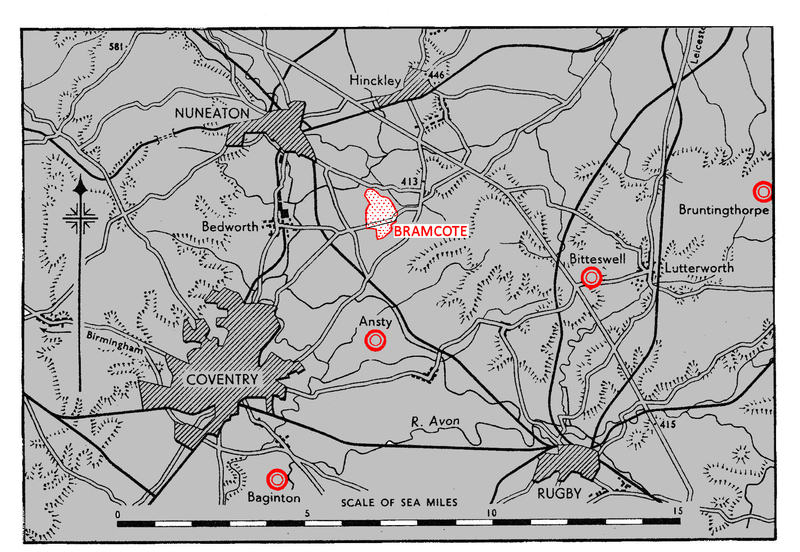 and Bramcote Sanatorium adjacent NNW. Radio masts 820' high 12 miles SE. The bend in the Watling Street (Road A.5) is 3 miles E.
The Ashby-dc-la-Zouch Canal within I mile of the airfield's NW. boundary. Main road to Nuneaton 31 miles (R) and Coventry 91 miles (R). Passengers and goods to Nuneaton, Trent Valley, Station M.R. Railway 41 miles (R) on the main line Euston to Glasgow. Control Building on N. side of landing area. Keeps watch o800-1500 Mondays to Fridays. 03/21 QDM. 030° -210° .... 1600 x 50 yds. 08/26 QDM. 085° -265° .... 1400 X 50 yds. 13/31 QDM. 126° -306° .... 1400 x 50 yds. Perimeter track varying from 20' to 45' in width. Living quarters n camp 1/4 mile N. of landing area. 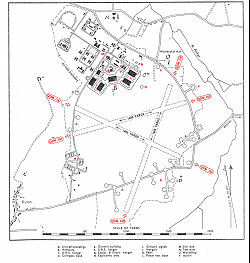 30 hardstandings dispersed round perimeter. Sick Quarters in main site. Limited service by Naval personnel. 144,000 gallons in 2 installations. Detachment (7) operated here 09- 15.06.48 from RNAS Anthorn. Equipped with Sea Hornet F.20s. Equipped with 12 Firebrand TF.5s. Moved here from RNAS Eglinton 09.07.54. Returned to RNAS Eglinton 12.07.54. Reformed herd 14.08.47 with 6 Seafire F.17. Re-equipped June 1952 with Seafire FR.47s. Further re-equipped February 1964 with Sea Fury FB.11s. and finally 7 Supermarine Attackers in October 1955. Reformed here 15.02.54 with 6 Firefly Mk. 5. Re-equipped with Firefly Mk. 6 in December 1955 and finally receiving Avenger AS. 5s in March 1956.